Mysterious luminous object over Rawalpindi! – Aliens invade Pindi? The mysterious object was noted by some citizens of the Cantonment area of Rawalpindi at 9.20 pm PST. It is stated that people had seen a similar object also on Sunday night (May 28) at about 11pm. Since the event happened 50 years ago and at that time we had no media revolution. So what was it?? Pakistan Weather Portal (PWP) goes in-depth to find the answer. Artificial satellites over the earth – Answer? Many artificial satellites are visible to the unaided eye. They shine by reflecting sunlight and can be brighter than many stars. 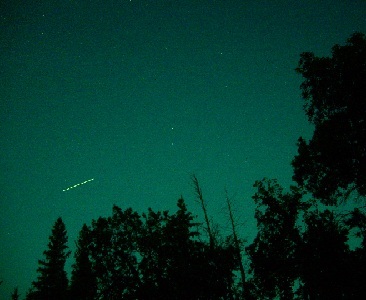 Satellites are distinct from aircraft in that they typically take about two minutes to cross the sky from one horizon to another and do not have flashing landing or navigation lights. They are also completely silent. Satellites shine with a steady light, but fade out if they enter the Earth’s shadow. Jupiter or Venus – Bright objects? The chances are it’s Jupiter or Venus (or just occasionally Mars). Planets will appear to move across the sky as the Earth turns, keeping their position with respect to the surrounding stars. Unlike stars, they generally don’t twinkle as they have an apparent diameter large enough that the effect of turbulence in the Earth’s atmosphere averages out. Jupiter and Venus can both be strikingly bright. At maximum brightness Jupiter is four times and Venus 19 times as brilliant as Sirius, the next brightest star after the Sun. 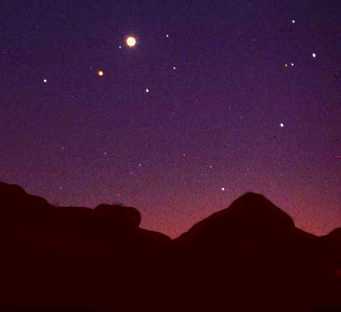 Once every 17 years Mars can be as bright as Jupiter (the last time was in 2003). Though the whole UFO concept is not popular in Pakistan, there have been many cases all over the world especially United States, where UFO have been spotted and people say that they had been captured by Aliens and experiments were conducted on them. 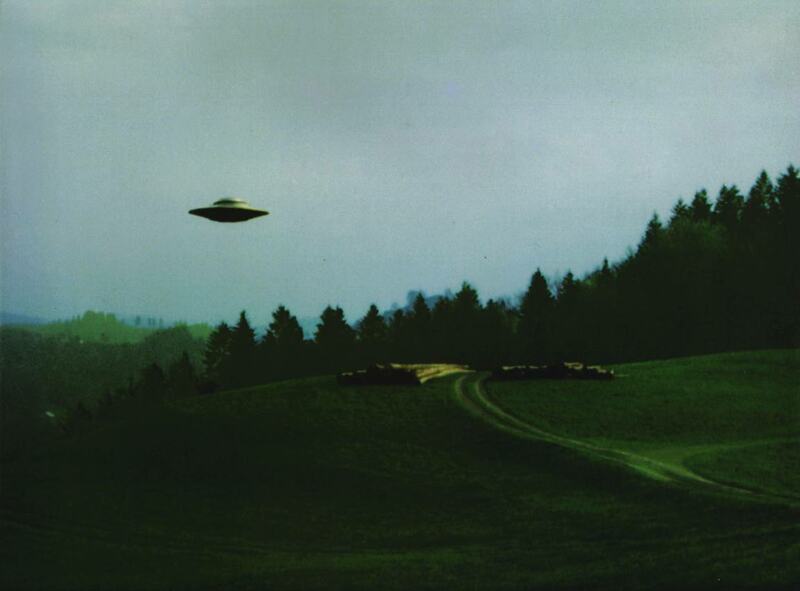 It has been suggested that UFO also behave like an aeroplane but they are quicker and silent than it. So was it the Aliens that came to Pindi? or What if those were the first American drone planes that entered Pakistan? Myths – From Jinn to holy spirits! Around the world, from Japan to United States such events have occurred and in every country such incident are related to the country’s culture and thinking. In South Asia and much of Arab world these events might be considered an act of Jinn (Devil) or Blessing of God. In south-eastern countries, such events are said to be done by the holy spirits while in the U.S such events are called “Alien invasion”. So it is clear that a country will relate such events with its culture and tradition. Since this event occurred a very long time ago, it’s not easy to tell what was the actual case of it, so it is up to the people what they believe. Its a bird, its a plane, NO its superman!! If you see a strange flying object in Pakistan, keep in mind, it might be a drone attack! I’ve been a silent reader of your blog, and appreciate the effort that you put in to it. However, this particular post has made me add my two cents. First of all, all this ‘ufo’ saga is nothing but a load of bull’s dung. It’s all a hoax. Apparent ‘sightings’ of such objects have never been confirmed and probably will never be. People claiming to ‘see’ such objects were probably too high on their own underwear or just needed their two minutes of fame. Secondly, even NASA and US air force admit that they test their ‘ufos’ to create panic and to make some uneducated fools believe that they’re being attacked. So all you perpetually ‘blinded’ fools out there, don’t worry and DO NOT wet your pants. You’re not being raided by any ‘aliens’ and nobody is coming to steal your women. P.s: Keep up the good work, Baber. Your weather-related posts are worth a read. Full of useful information.